This unit represents a culmination of our efforts toward refining the core performance capabilities of a dedicated reverb unit. With 24-bit AD/DA converter and 24-bit digital input/output, the Roland SRV-3030 provides high-quality digital reverb and multi-effects that rival those of professional studio equipment. With two internal high-quality reverb units, you can combine two separate reverb effects, or get full stereo reverb. Newly developed dynamic separation algorithms provide reverb that changes dynamically according to the performance phrase or musical instrument used. The graphic display and knobs ensure simple but complete command of the Roland SRV-3030 operations. The unit is packed with convenient features, such as Preview and Category Search. 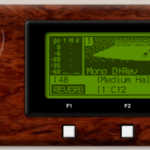 Preview is a function that allows test listening of digital reverb effects using the internal instrument sounds. You can preview sounds simply with the press of a single button. The Roland SRV-3030 features a full set of instrument sounds, which lets you preview the most suitable sound for any type of reverb. Further more, you can also preview sounds using sampled (recorded) sounds (using memory cards). Programs are divided into categories based on the application-for example, vocals or instruments. Using the Category Search function allows fast searching of the categories, so you can rapidly find the programs you want. You can use any of three different editing methods to suit any situation or aim. Direct Edit – This allows quick and easy editing of the most frequently used parameters (reverb level, reverb type, and so on). EZ Edit – This sets EZ parameters that approximate those of the sound you envision, providing a more intuitive way to create sounds. Custom Edit – This allows Very precise settings for all parameters. With removable memory cards, you can store and use even more reverb settings on your Roland SRV-3030. In addition, you can use these for sampling, and later use of preview sounds.